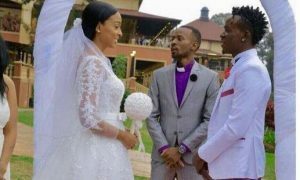 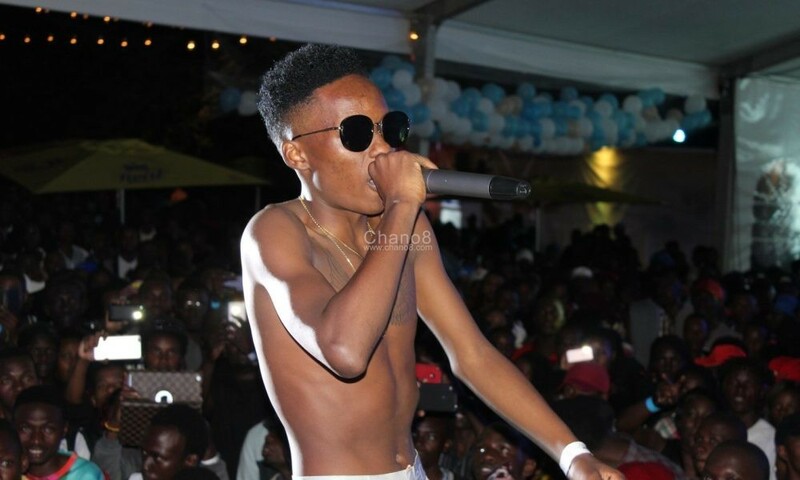 As we talk now Ragga and Dancehall artiste Latinum is a busy head doing his senior Uganda Advance Certificate of Education (UACE) exams which began yesterday Monday the 13th of November throughout all secondary schools in the Pearl of Africa. 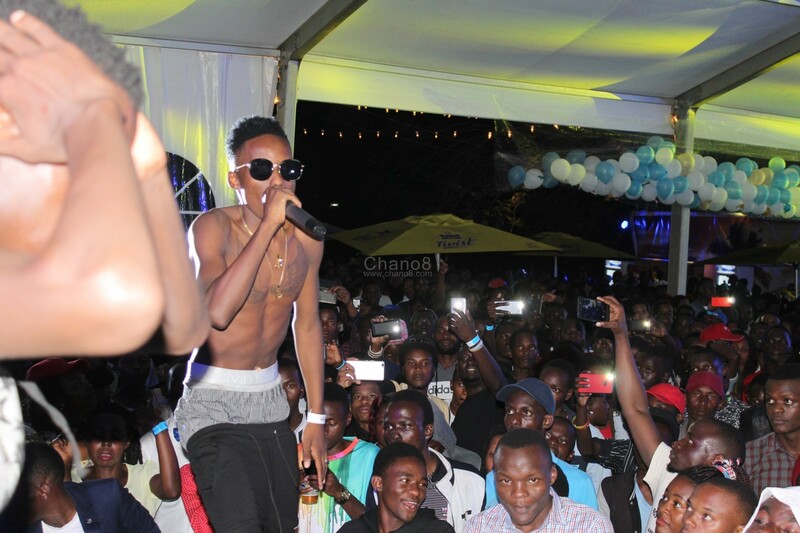 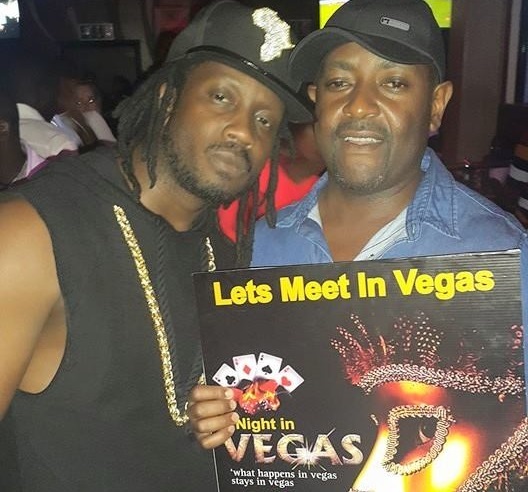 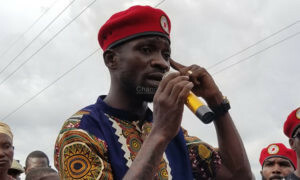 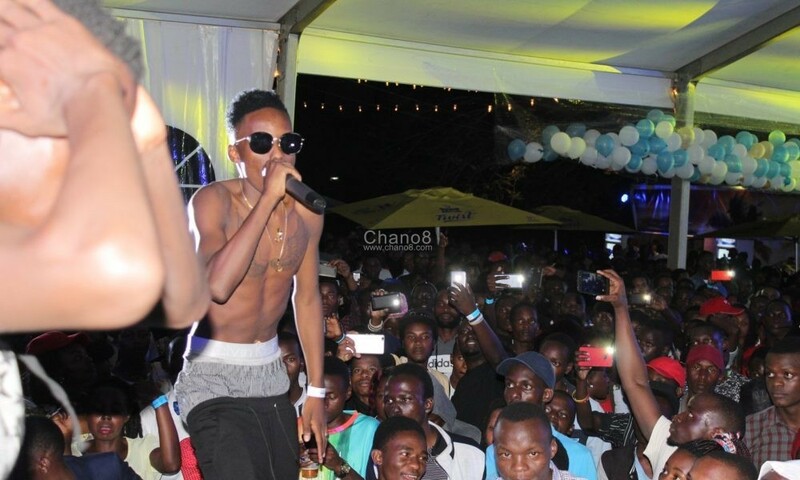 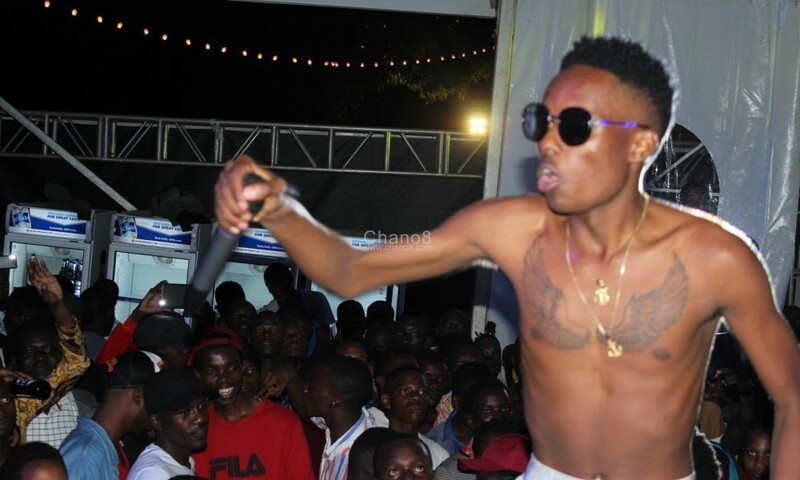 As he got deeper in his performance the ‘Baabo’ singer removed his shirt and jacket exposing his tattoo which caught more revellers’ attention especially those who were closer to the stage. 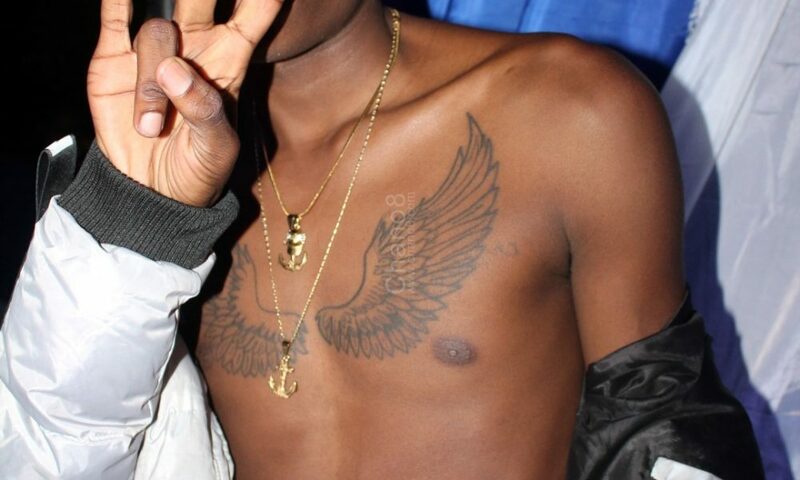 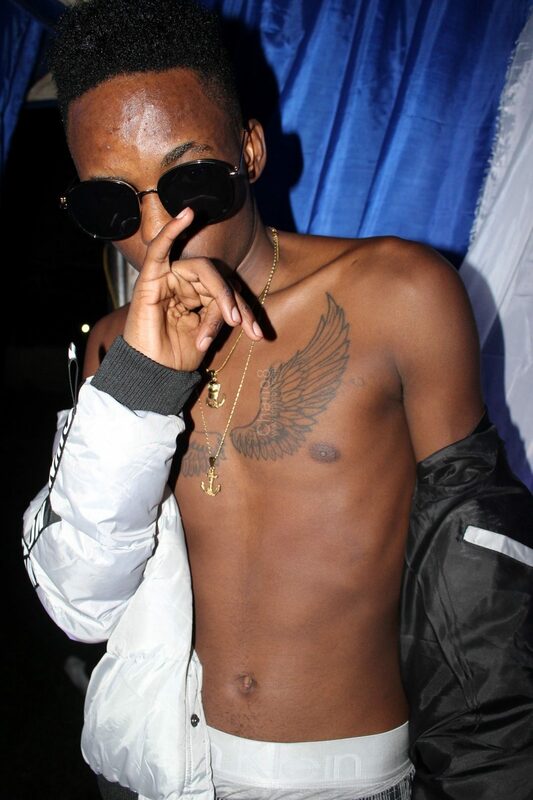 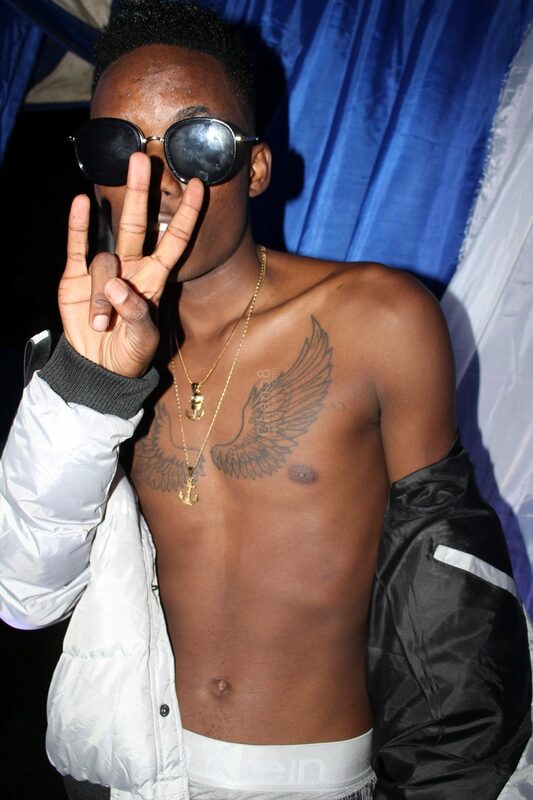 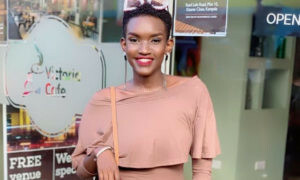 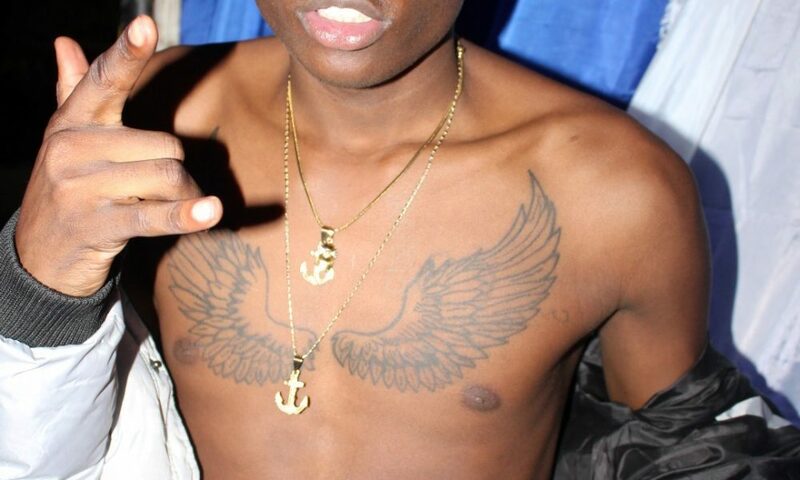 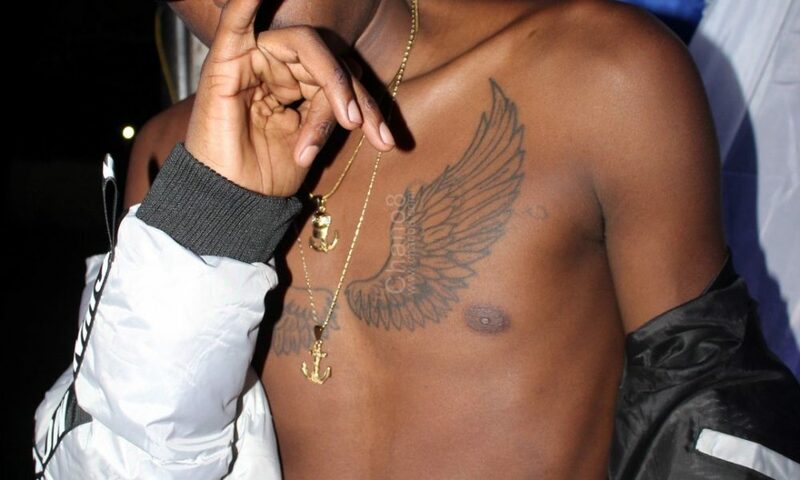 The large tattoo which looked like an eagle’s flapped wings covers the whole of the youngster’s chest and it got some of the attendees wondering how and when Latinum got it. 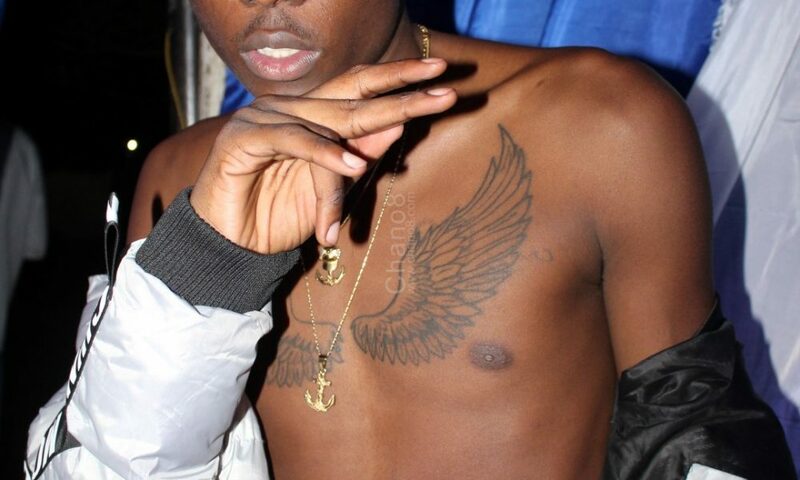 “When did Latinum get this tattoo?” One of the revellers was heard asking and it was not only her but several other fans were fidgeting to take a close look at Latinum’s tattoo. 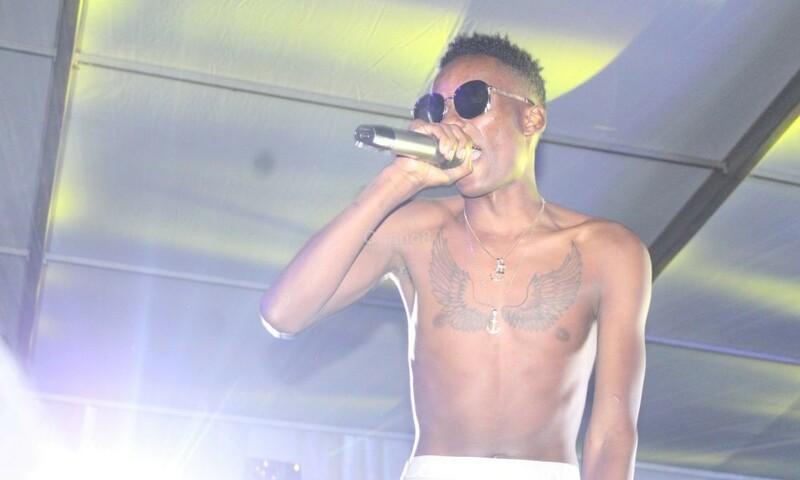 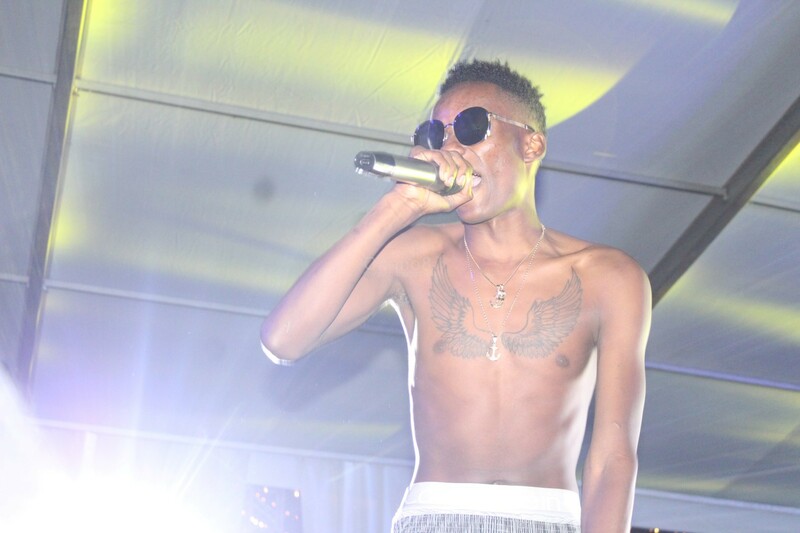 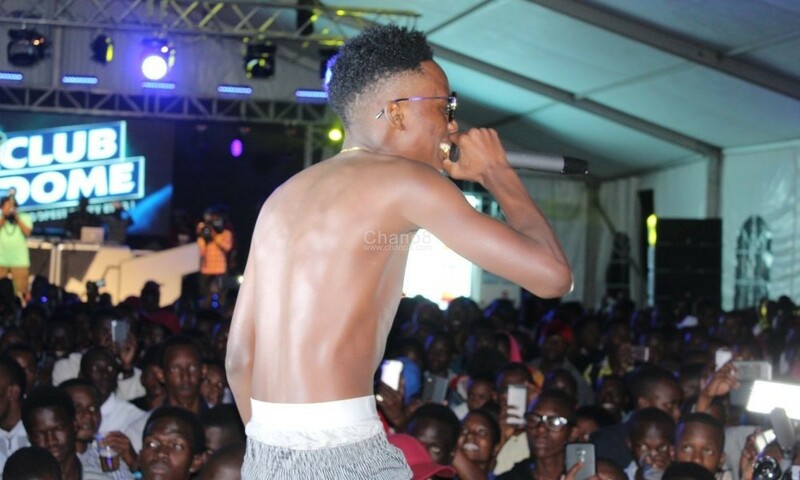 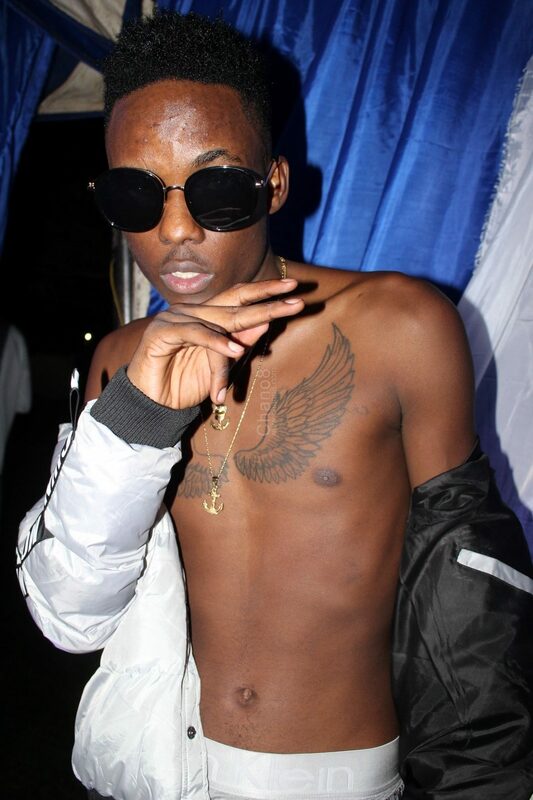 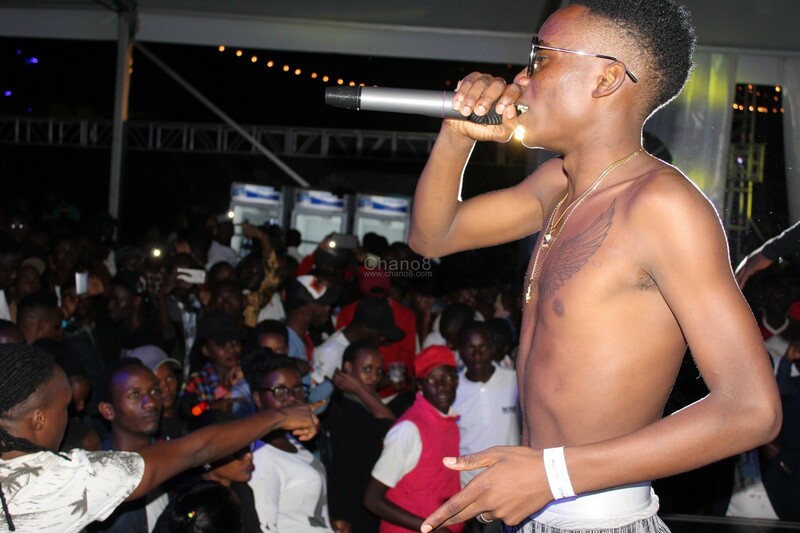 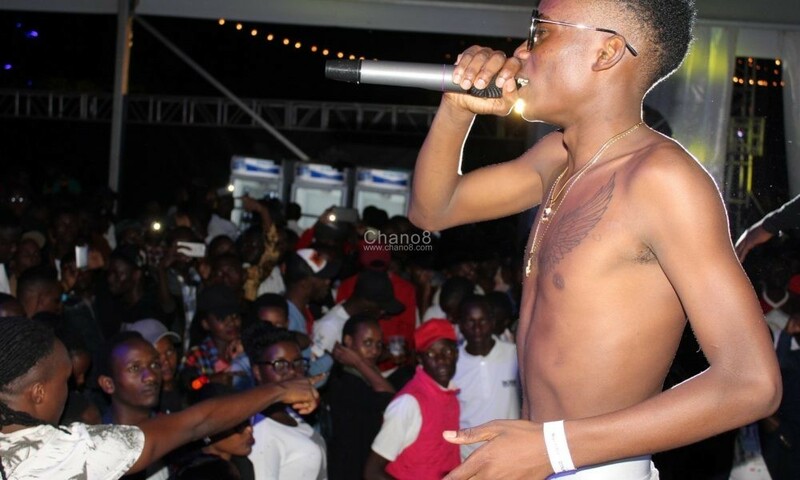 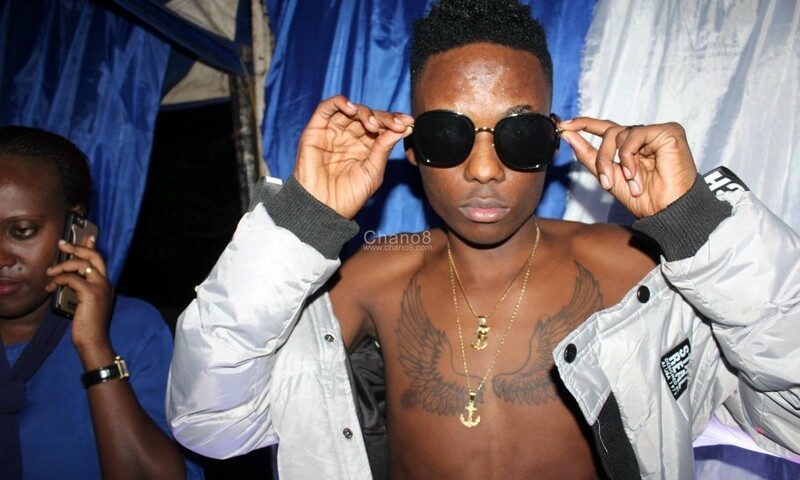 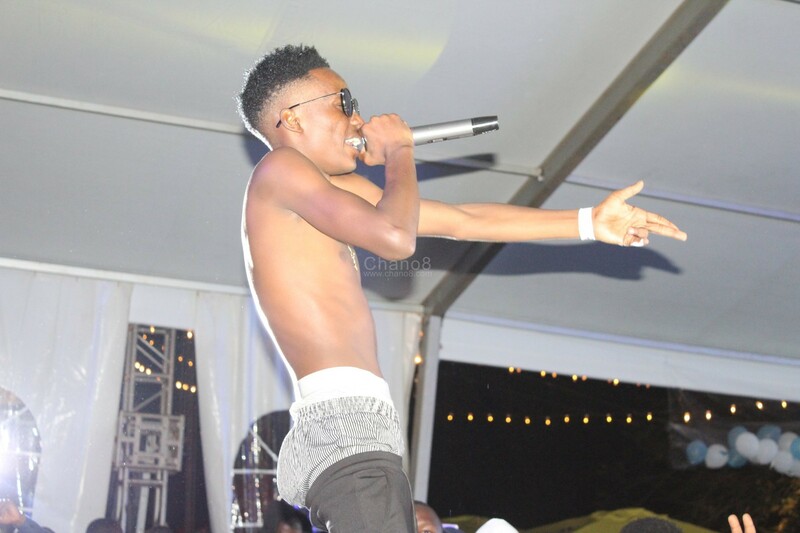 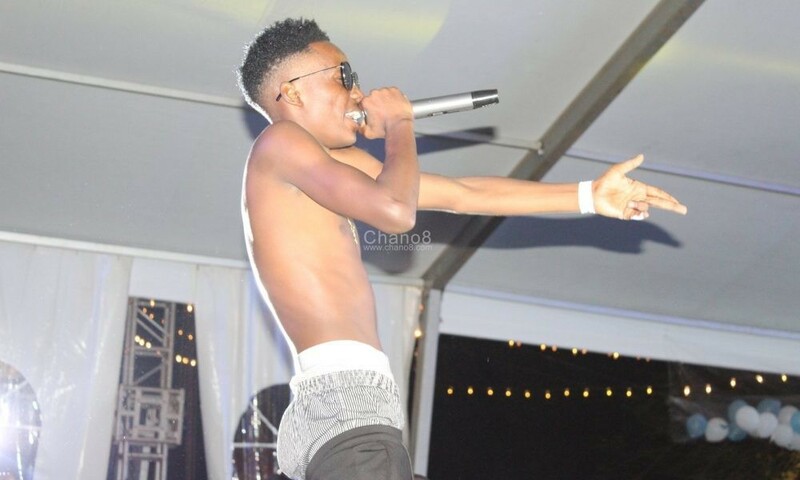 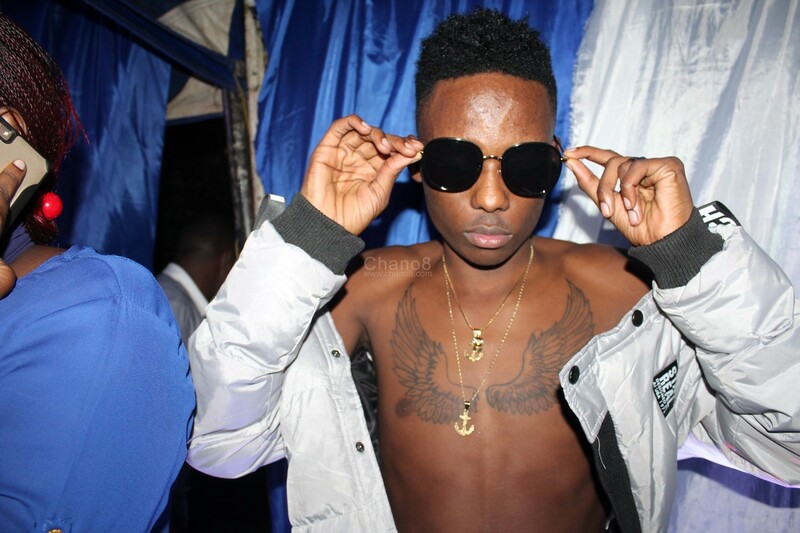 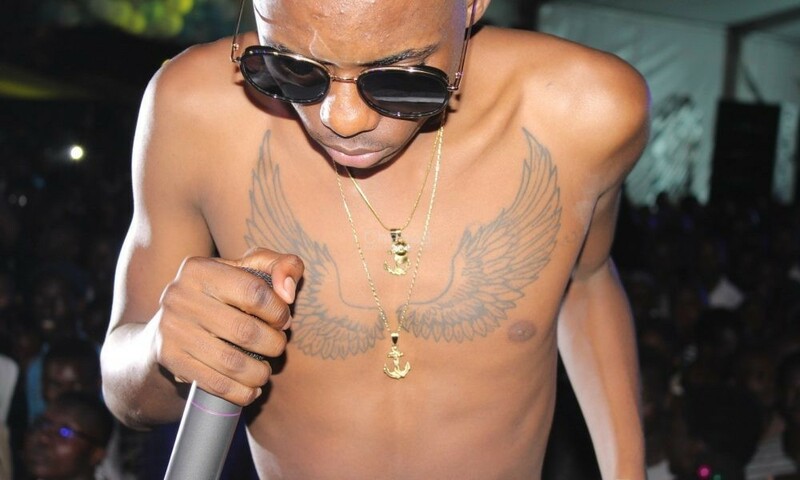 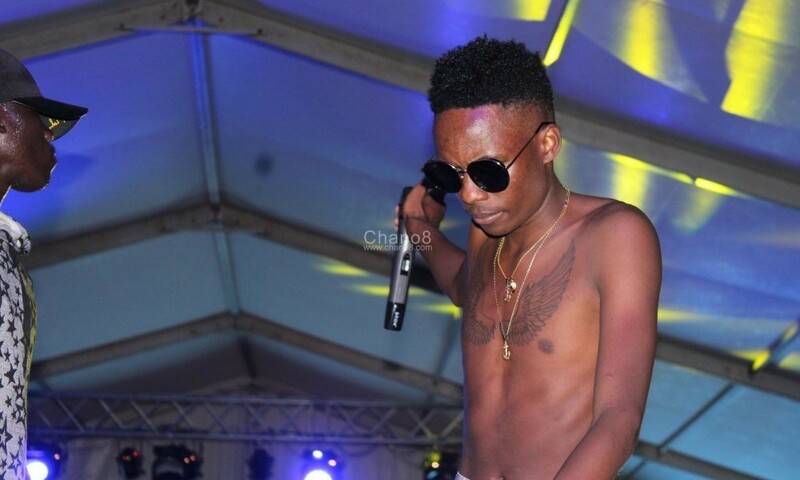 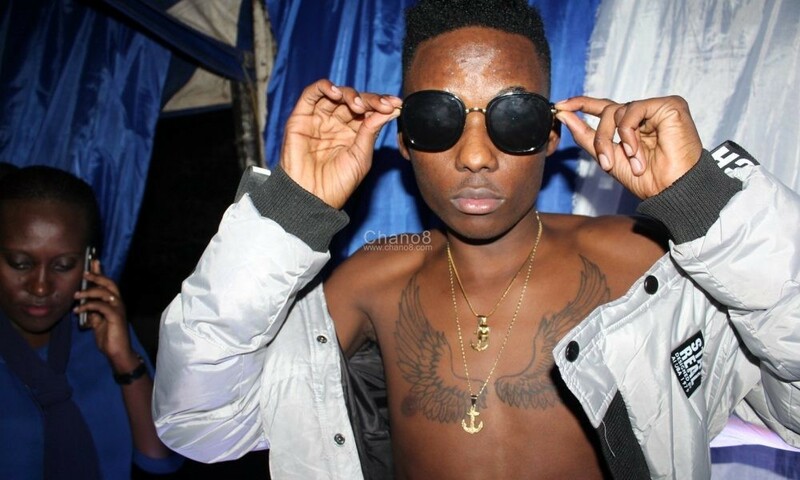 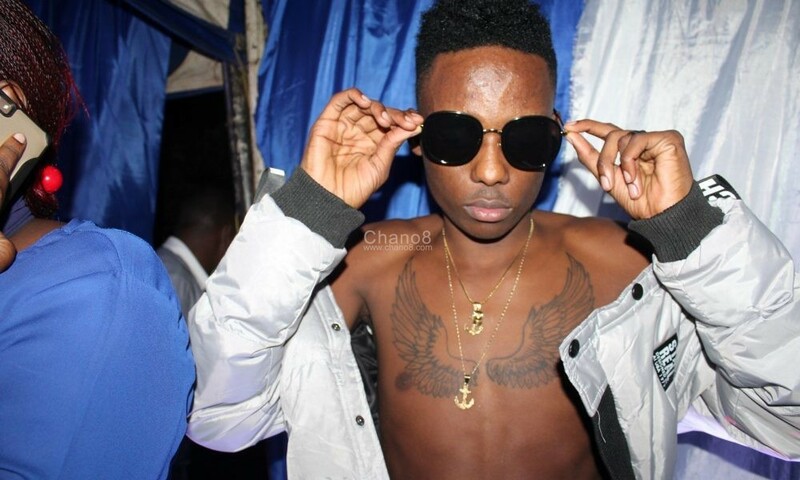 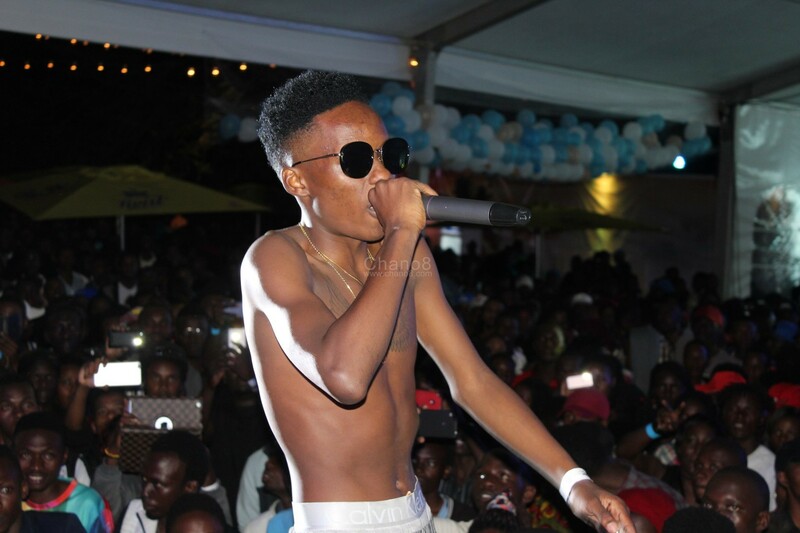 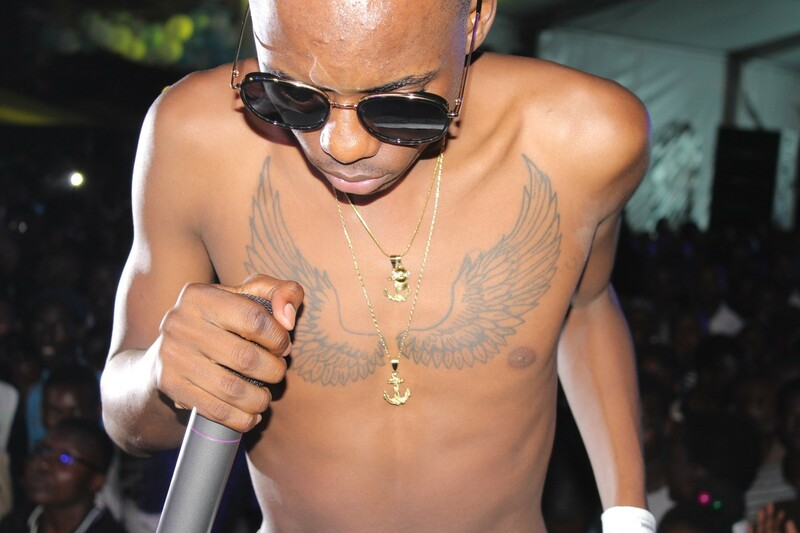 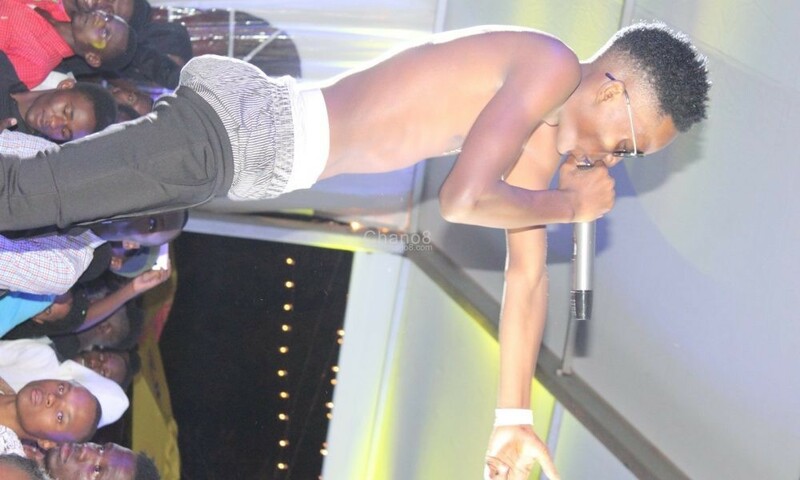 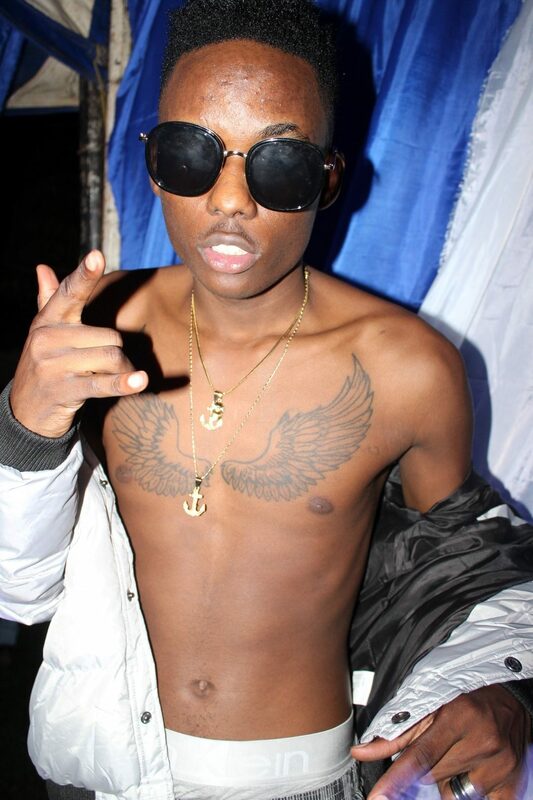 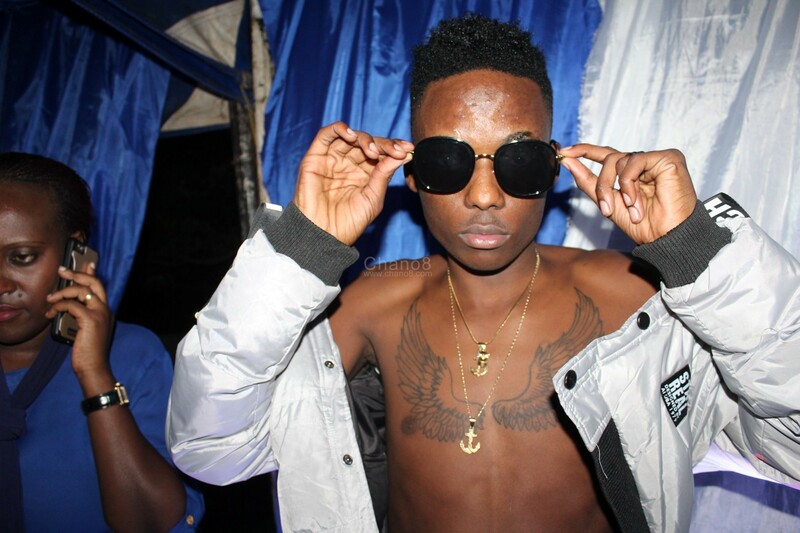 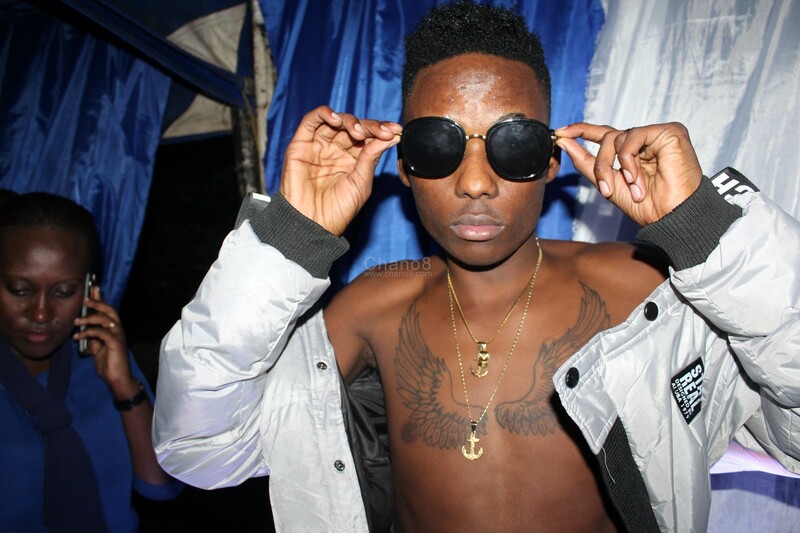 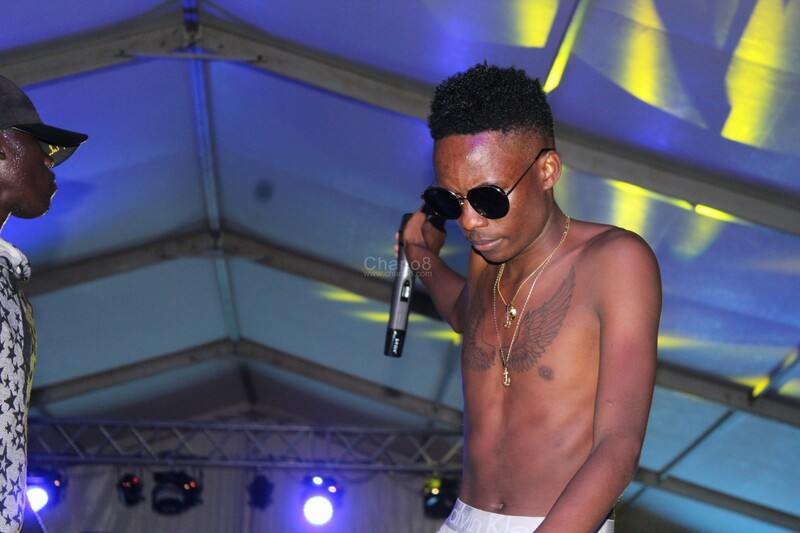 Leaving the his tattoo alone, Latinum put up an awesome performance sing his songs like ‘Amanya Gange’, ‘Baabo’, ‘Man Away’, ‘Kagwilawo’ among many others.